The Wall Street Journal reports Mongolia is relaunching talks with international miners on developing the western block of Tavan Tolgoi in the South Gobi desert, the world’s largest deposit of high-quality coking coal used in steelmaking. 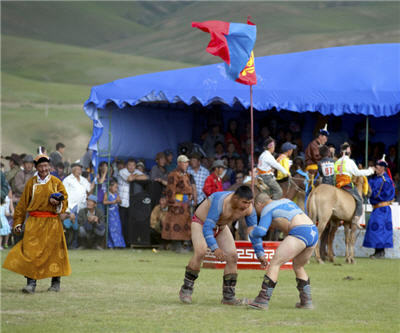 Mongolia's National Security Council rejected a deal struck with US giant Peabody Energy, China's Shenhua and a Russian-Mongolian consortium mid-September, just two months after they were announced as winners. At the time losing bidders from Brazil, India and South Korea raised serious concerns and Japan went so far as to call the bidding process 'extremely regrettable'. Mongolia still hopes to privatize its Erdenes Tavan Tolgoi coal-mining company which controls the remainder of the 6 billion tonne resource for upwards of $3 billion next year. WSJ.com reports the goal, said one Mongolian official familiar with the situation, is to award the contracts before Mongolian parliamentary elections in June. Metallurgical coal has been trading at record levels of $330/tonne this year and the Tsankhi block on its own holds 1.2 billion tonnes of reserves. China's Shenhua was to be the lead developer with a 40% share with a Russian-Mongolian consortium and US-based Peabody Energy. Japanese trading firm Mitsui & Co, Brazil's Vale and Indian steel giant ArcelorMittal were among the losing bidders. Japan and South Korea are tipped as likely successful bidders in the second round of offers. Reuters reports Mongolia, landlocked between Russia and China, exports all of its coal to its southern neighbor, China, and has long been wary of becoming a satellite valued only for its resources. Reuters reported in July the Tavan Tolgoi area lacks the roads and railways needed to quickly and economically deliver the coal to markets. It also lacks the power and water supplies to support big mining camps. Shenhua started building an Inner Mongolia railroad line from the coal-belt city Baotou to the Mongolian border 180 kilometers from Tavan Tolgoi in 2009. Mongolia is likely to sell a stake in its Erdenes Tavan Tolgoi coal-mining company which controls the main block of the deposit that has been mined since the 1960s to the public next year, raising more than $3 billion. Tavan Tolgoi is the second largest mining investment in Mongolia behind the Oyu Tolgoi gold-copper mine being built by Canada’s Ivanhoe Mines. Ivanhoe and partner Rio Tinto in recent weeks had been in tough negotiations with the Mongolian government over ownership of the project after some political leaders started pushing for majority control of the massive mine scheduled to start production in 2013.